Home Bubble Diaries ‘Zero’: Is Shah Rukh Khan fighting for his survival? What is the definition of a legend? How do you become a legend? Its very simple, isn’t it? You work hard at your craft, you convert stones into milestones and you create a benchmark which is very hard to beat. Shah Rukh Khan is close to completing three decades in the Hindi film industry and has truly created a legacy for himself. 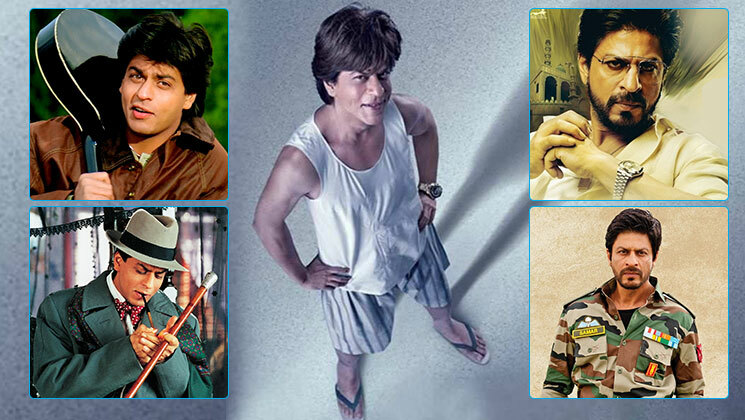 The 53-year-old actor has been given the title of ‘King Khan’, ‘Badshah Khan’, ‘Mr box office’ and so on. SRK has redefined and rewritten the rules of the romance genre and is an entity who has enjoyed success over a long period of time. But, what is ailing Shah Rukh Khan? His films over the last 5-6 years have not generated the same response with the audience or with box office numbers. The cinestar’s recent releases like ‘Jab Harry Met Sejal’, ‘Raees’, ‘Happy New Year’, ‘Dilwale’, ‘Jab Tak Hai Jaan’ have been very lackluster and knowing Shah Rukh Khan’s honest nature, he would be the first one to admit that. There is something missing because you don’t become bad or ineffective overnight. In this Instagram image, Shah Rukh Khan can be seen with his co-stars Katrina Kaif and Anushka Sharma from ‘Zero’. This is the same actor, who has given us ‘Dilwale Dulhania Le Jayenge’, ‘Kuch Kuch Hota Hai’, ‘Devdas’, ‘Veer Zaara’, ‘Chak De India’ and other path-breaking films. SRK is one actor who is truly a director’s actor and never gets his ego or ambition interfere in the creative process. Shah Rukh Khan believes in giving 100% all the time and doesn’t sit on his laurels. That brings us to Badshah Khan’s next release ‘Zero’. The Aanand L Rai directorial could prove to be a make or break for this superstar. And Shah Rukh is playing a dwarf character by the name of Bauua Singh. Even at the age of 53, SRK is still making the difficult decision and taking a huge risk, which could easily backfire. Any other superstar might easily have taken the easy option and done the same old roles, which have worked for him in the past. So, can ‘Zero’ be the lifeline that SRK needs and can it resurrect his career? The concept of the film is unique and Shah Rukh Khan by all accounts has given his blood, sweat and tears for this project. He has nothing left to prove, but that inner mongrel is still burning and if ‘Zero’ tanks, then it will be a huge blow for the Kolkata Knight Riders co-owner. The legendary saying is ‘when the going gets tough, the tough gets going’ and ‘form is temporary, but class is permanent’ and SRK belongs in this category. Shah Rukh Khan is India’s pride and every sportsperson, artist, politician faces times in his career when he has to hang up his boots and call it quits. So, is SRK still good enough to deliver a hit? That can only be known on December 21, 2018.